Mednovus, Inc. is a privately-held California corporation in a long-term alliance with Quantum Magnetics, Inc. (wholly owned by GE Security/Safran). Mednovus has years of experience in the medical field, emphasizing an open partnering relationship with our customers. 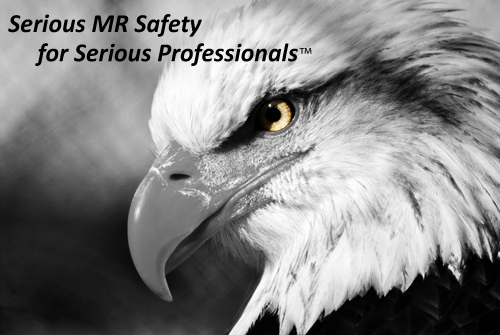 We place the highest importance on customer feedback - with the goal or providing the best products and the best service in the MR Safety industry. Quantum Magnetics, Inc. is the "Center for Excellence for Magnetics" for GE Security/Safran, the world leader for mission-critical detection systems. QM's international staff of Ph.D.s in physics, chemistry, and engineering has received over $125M in R & D revenue from government agencies, including the U.S. Dept. of Defense, National Institutes of Health, U.S. Dept. of Transportation (FAA), and the U.S. Dept. of Justice. Awards include MIT Technology Review (World's Top 100 Innovators); SBIR Technology of Year Grand Prize (Landmine Detection); Aviation Security International Award of Excellence, and others. 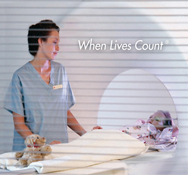 Whether your magnetic resonance imaging facility is hospital-based or free standing, we will focus our people, energies, and skills on providing superior ferromagnetic detection systems for your unique needs - and provide the first-class customer service you deserve. "We help protect you and your MRI patients with the most advanced/cost effective ferromagnetic detection technology and superior service." And, if for ANY reason whatsoever, a customer is not completely satisfied with the Target Scanner, simply return for a full refund - no questions asked. Please know that we stand behind the SAFESCAN Target Scanner™ 100 per cent. Our commitment to you is to deliver the best handheld FMD system in the marketplace, with exceptional special pricing, and the first-class customer service YOU deserve! YOU WILL ALWAYS COME FIRST AT MEDNOVUS! VA Healthcare System, Facilities Guidelines Institute (FGI), and many State Licensure Regulations.